On the 22nd day of April 2014, Sheriff Keith Slape reports that his Office arrested Dennis Waggoner, 33 of Marble Falls on an outstanding warrant for Fail to Appear on an original charge of Theft by Receiving. 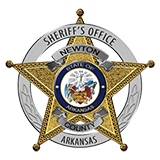 Deputies suspected Waggoner on a recent Residential Burglary where a video game and a set of speakers were stolen along with a receipt for those items from Wal-Mart. Deputies went to Wal-Mart and were able to recover video evidence showing Waggoner return the video game and speakers. In an interview with Deputies, Waggoner confessed to breaking into the residence and stealing the items. He faces charges of Residential Burglary and Theft of Property. As of this release, he is currently incarcerated.